16 July 2013 marks the 25th anniversary of the demolition of Brook House – a fine, white, mansion that had stood on the western side of Maison Dieu Road. For many its destruction, in the early hours of a Saturday morning, marked the start of the deterioration of Dover that still carries on to this day. For well over a hundred years, the site where Brook House once stood was part of the extensive Gunman estate that stretched from Maison House Gardens to Stembrook. George Jarvis, the last occupant, put the estate on the market in 1854 and moved to Lincolnshire. At the time, Dover’s sewerage system was being laid and the Corporation had hired London construction engineer, William Ernest Moxon, as the principal contractor. He bought part of the estate in order to build his residence. As the Dour was the west boundary, Moxon decided to build the house facing east and widened the then Charlton Back Lane, later Maison Dieu Road to making a fitting entrance. Along the south border of the part of the Gunman estate that he had purchased, he laid an egress into Biggin Street and the centre of Dover named by the Dover council, Pencester Road. This was after John de Pencester who had helped to defeat Louis, the Dauphin of France (1187-1226) – later Louis VII 1223-1226) on 24 August 1217 at the Battle of Dover. Not long before, Dover council had purchased the Maison Dieu from the victualling department of the Royal Navy and voted for the building to be glorified as Dover’s Town Hall. Part of the restoration included large stained-glassed windows in the Stone Hall depicting aspects of Dover’s history. 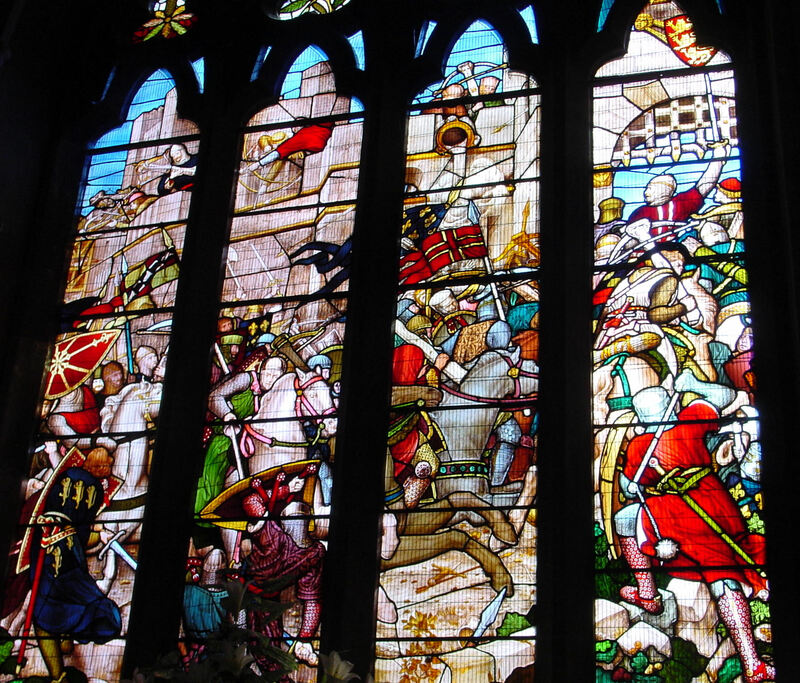 About 1850, Edward John Poynter (1836–1919), drew a series of cartoons for the insertion of coloured glass into the window frames in the Stone Hall one of which depicts John de Pencester at the 1216 Battle of Dover. Moxon was a highly thought of engineer and was heavily involved in the creation of Dover’s water works, completed in 1854. He also won contracts from the military – works on the Western Heights to the tune of £90,000; in London – North Level sewer worth £100,000 and started on the building of St James new Church and houses along Pencester Road. However, with his engineering background and for reasons unclear, Moxon did not take into account that the site of his new mansion and the roads he had laid to it were on a flood plain of the river Dour. Every time there was heavy rain, there was much trouble in disposing of the surface water and although it is probable that Moxon was going to deal the problem, events intervened. On 6 December 1860, Moxon announced that he was suspending all contracts and six days later, a meeting of his creditors took place. The civil engineer owed £89,000 including £37,000 to one single creditor. His company was wound up. Brook House was put on the market and the furnishings and paintings were sold at auction the following October. William Moxon died in Porsea on 9 December 1865. Major-General Charles Ellice, Commandant of the South-Eastern District, purchased Brook House. Among his staff was a gardener, William Inwood, who came from Saltwood Castle. William was the grandfather of well-known Dovorian, Lillian Kay. After only a short time Major-General Ellice was moved to a new post and the House was again put up for sale. 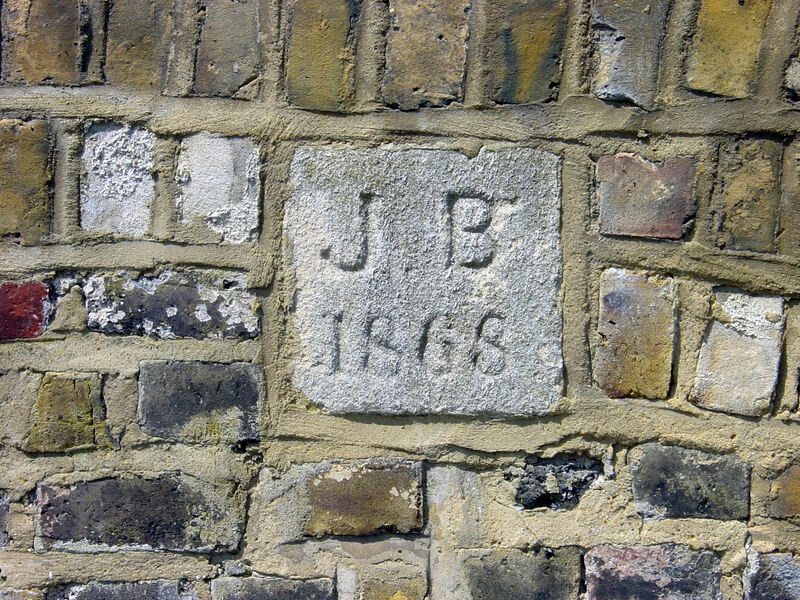 John Birmingham purchased Brook House for £5.010 on 3 October 1867. A well-known local in 1844 Birmingham had taken over the Ship Hotel, one of the most prestigious establishments in Dover. 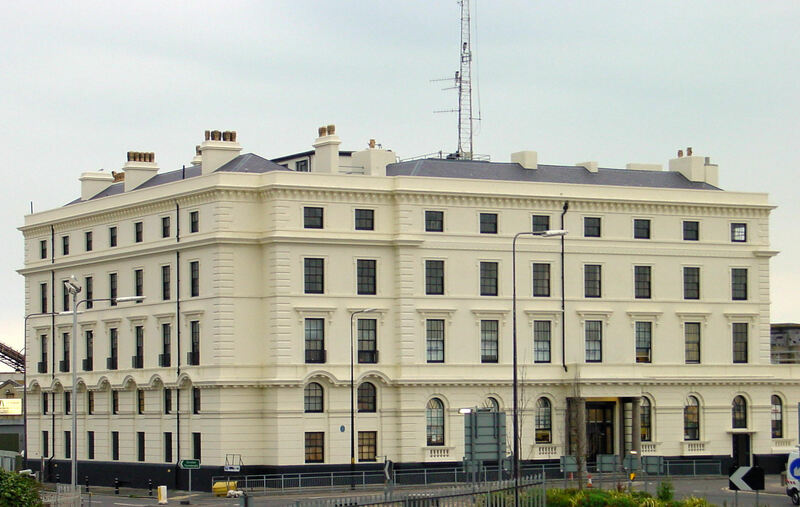 That year saw the South Eastern Railway Company opening their line to Dover and they built the Lord Warden Hotel for their cross Channel passengers. The Hotel opened on 7 September 1853 and Birmingham was appointed manager. By that time he had married and both he and his wife Mary were immortalised by Charles Dickens (1812-1870) in a number of the author’s letters. A Conservative councillor for the Town Ward, Birmingham was elected an Alderman in 1858 and two years later, he was unanimously chosen as Mayor. Re-elected the following year, Birmingham provided the grand banquet for the installation of Lord Palmerston (1794-1865) as Lord Warden of the Cinque Ports. Birmingham stood for Mayor in 1867 but was beaten by fellow Tory, Joseph Churchward, albeit, he did buy Brook House. In 1868, Birmingham had a wall built along the southern boundary of his property. Part of this can still be seen as the back wall of Pencester Road car park where there is a plaque that Birmingham had put in place at that time. There is also a similar plaque built into the northern boundary of the estate but it is almost illegible. Birmingham was elected Mayor for the third time in 1868 and again in 1869. During this time, Dover, Morris County, New Jersey, US, received town status and Mayor Birmingham organised a collection for the new Mayor, George Richards. From the money collected, Mayor Birmingham bought two white mastiff dogs and presented to the US town. 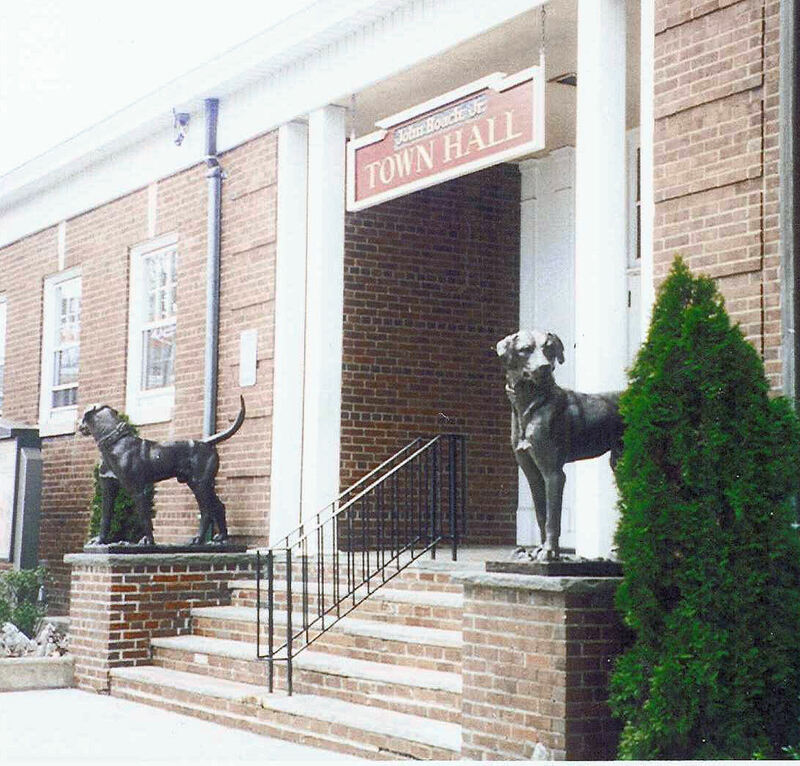 Later, iron sculptures, about 4ft (1.1m) high, were made of the dogs and since then they have stood ‘guard’ over the town. (See Daughters of Dover, Dover Society web-site). On Wednesday 3 February 1875, Birmingham died; he was 80 years old. The mansion remained in the possession of his family until August 1886, when Messrs Terson and Son sold it by auction for £6,000. John Finnis, head of the firm, Messrs Steriker Finnis and Son, timber merchants and builders, bought the property, which was on the opposite side of the River Dour from his timber yard. Finnis was elected a town councillor for Castle Ward from 1877 to 1883 and then, following the death of his father, Steriker Finnis, elected Alderman in his place. At about the same time, John Finnis was appointed a magistrate for both the Borough and the County. Shortly after purchasing Brook House, Finnis laid out the Paddock, along the southern boundary, where seven houses were built. 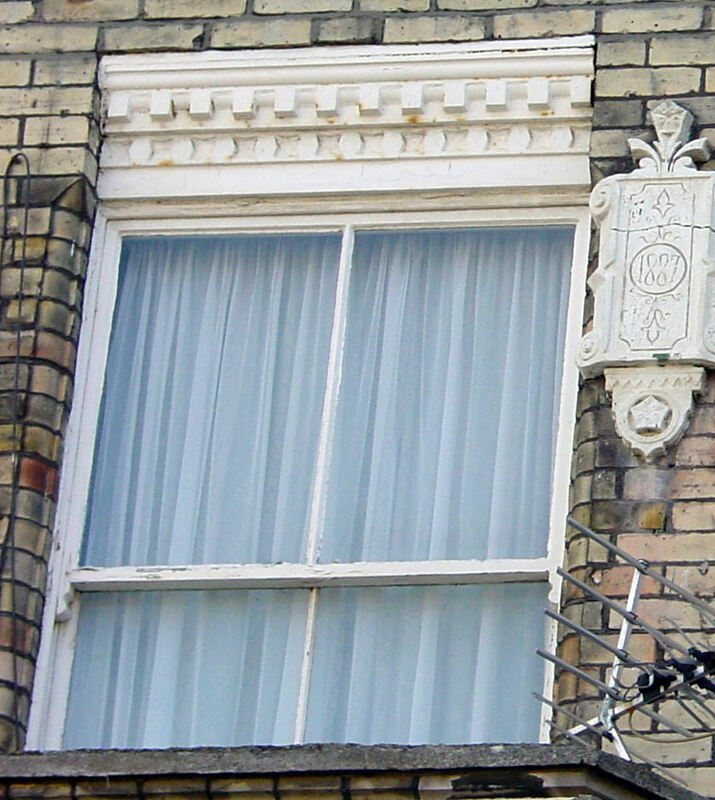 The window frames, which can still be seen, are the work of Philip & Herbert Stiff 1865-1895, local iron founders. On the opposite side of the Paddock a Girls’ High School was erected, this, at the time of writing, is part of K College. Finnis retired as Alderman in 1889 but in 1892, as leader of the local Liberal Party, he decided to stand again for the council. As a mark of respect, he was not opposed in the November elections but within a week, he became ill. Thirteen days later, on 25 November, John Finnis died of peritonitis age 47 years old. Brook House then came in possession of clergyman’s widow Mrs Martha Humphreys and her two daughters, Alice and Diana. They were particularly proud of a colony of rooks that, it was claimed, had been introduced when the estate had been part of the Maison Dieu in the days of King John. Since then the rooks have disappeared but Paul Holt, of the White Cliffs Countryside Project, tells me that there are some in the nearby Pencester Gardens. 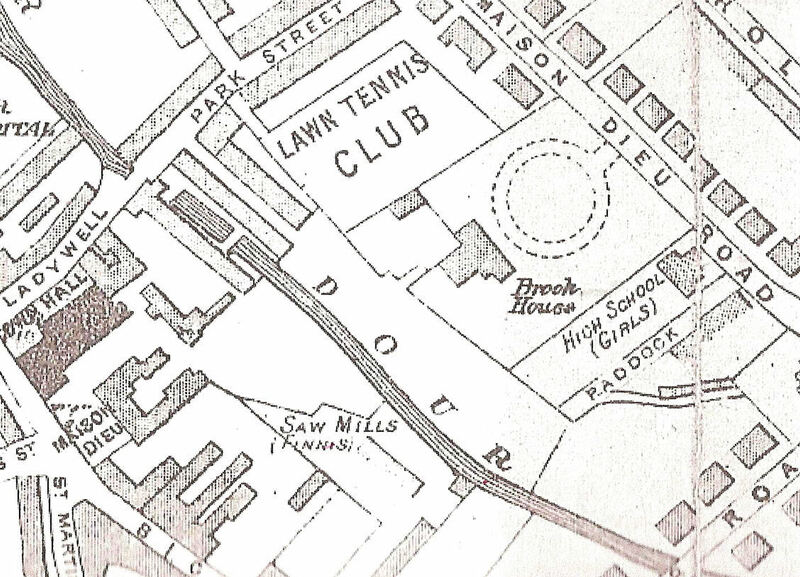 In 1891 the Dover Electricity Company, whose Chairman was Sir William Crundall – Mayor thirteen times – acquired what had been municipal tennis courts on the south side of Park Street, backing on to the grounds of Brook House. A contemporary description states that, ‘the side wall was parallel with Park Street and is 32 foot high, divided into panels by pilasters with terracotta pediments. The corresponding side next to Brook House grounds is similar, while the end next to Maison Dieu road is plain, with a back entrance to workshops.’ On 8 April 1895, the electricity works started operating and in 1904 was taken over by Dover Corporation. The following year the offices, which had been near the front entrance of the electricity works, were moved to Maison Dieu House. Mrs Humphreys’ died on 28 April 1900 but the daughters remained until the end of World War I, when they put the house up for sale. The council applied to the Ministry of Health, in 1919, for sanction to purchase the house, which was described as palatial, for a school and the land to enable the electricity works to be extended. Approval was given and in 1920, the ladies sold the house to the Corporation for £5,000 although they did not move out until September 1921. Brook House was then converted by the Corporation into offices for the Town Clerk, the Borough Accountant and other departments. In addition, a flat was created for the caretakers, Mr and Mrs Bob Beer. In the gardens, on the Maison Dieu Road side of the house, municipal tennis courts were laid out. Brook House was officially opened on 1st April 1922 by which time the Town Clerk had become a full time official! The old Brook House Clinic once the stables and coach house. The stable block, adjacent to the north wall, was converted to provide facilities for the Medical Officer of Health with a Maternity and Infant Welfare centre. This was opened by the French Minister of Health on 9 August 1922. The adjoining coach house was adapted into a cookery centre. In 1924, the latter was converted into the Astor Dental Clinic for the treatment of poor people and elementary school children. Finally, a path was laid from Maison Dieu House, past Biggin Hall, to the old stable block in Maison Dieu Gardens at the end of which gates were erected leading to the front entrance of the electricity station. It is one of these gateposts that can still be seen. The spring and summer of 1937 were particularly wet and along the hundred yard stretch of Maison Dieu Road near Brook House, motor cars were to be seen ploughing through water up to their axles on several occasions. On 20 July, the Surveyor presented a report to the Town Council in Committee, which stated that extensive and immediate steps were necessary to improve the surface water drainage system. He stated that the problem was due to the growth of the system of roads impervious to water. The cost was estimated as approaching £400,000! The report was put in the pending tray. Brook House managed to survive relatively unscathed during World War II but due to neglect, by the end, repairs were desperately needed. Costing £11,671 the War Damage Commission contributed £926 15s 0d. As the repairs were being undertaken, Professor Patrick Abercrombie, a consultant hired by the Corporation, recommended that the building should be refurbished as the town’s museum. The pre-war museum, housed in the upper part of the Market Hall, had been badly damaged during the war. However, after much deliberation the council applied to the Ministry of Health for a loan of £1,750. This was to enable them to convert Brook House for the use by the Borough Engineer’s department as Maison Dieu House, the Engineer’s previous quarters, was in a poor condition as the result of war damage and death watch beetle. In 1957, Brook House was extended at the back to provide more office accommodation at a cost of £9,883. This enabled the Borough Treasurer’s department to move from New Bridge House. The 1972 Local Government Act led to the formation of Dover District Council (DDC) on 1 April 1974. Once again, consideration was given to Brook House being converted into a museum. However, the idea was put on hold until new district council offices were built and until such time Brook House was the home of DDC’s Finance Department. In 1979, work started on installing gas central heating costing £95,000. The new DDC office complex at Whitfield, on the outskirts of Dover, was complete in the 1980s and the Finance Department moved in. Again it was proposed that Brook House should become a museum, or alternatively an art gallery or/and a civic centre. 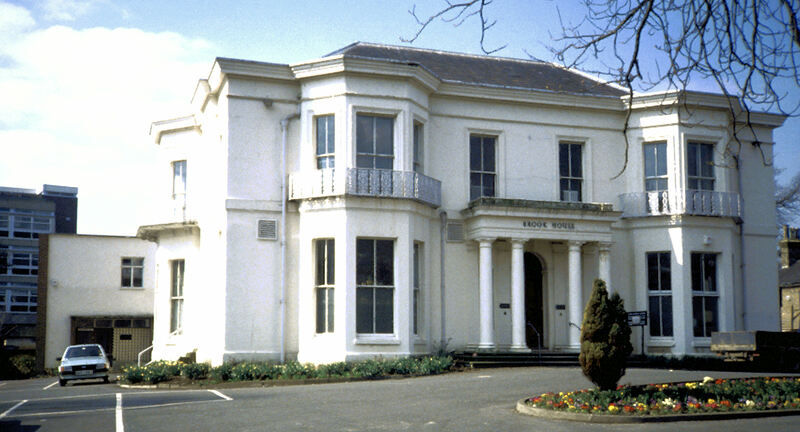 Then, at the DDC meeting of 27 January 1988, it was proposed to sell Brook House but at the same meeting, it was also suggested that it could be demolished and site laid out for car parking. The cost of the latter proposal was estimated at £20,000. At the time DDC were heavily involved in a tourism that centred on the £13.25m animatronics White Cliffs Experience, in the Market Square. This was expected to be a catalyst that would bring tourist flocking to Dover and thus the need for car parks. To justify the demolition, the fact that the House had been built on a flood plain was used. Although, the House had defiantly stood the test of time, councillors and council officers were of one mind … demolition. 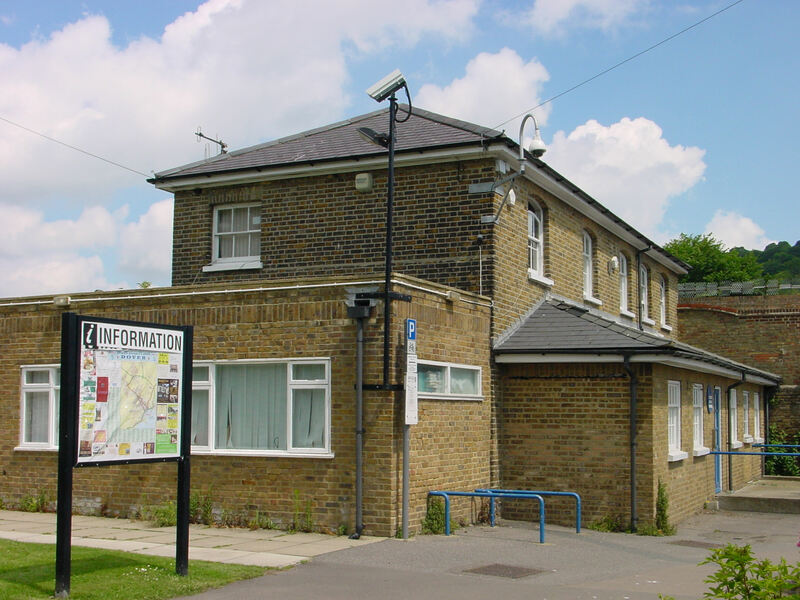 Local businessman and former councillor, Paul Marklew, attempted to get the beautiful building listed and successfully secured this on Friday 15 July 1988. He drove from London to the DDC offices at Whitfield and although it was not yet 17.00hrs, the doors were locked against him. At 05.00hrs on Saturday 16 July 1988, the beautiful building was bulldozed into oblivion! Public outrage ensued. Of interest, on 18 October 1988, at a full DDC meeting, councillors’ gave the White Cliffs Experience project their approval – the meeting lasted just 15-minutes. 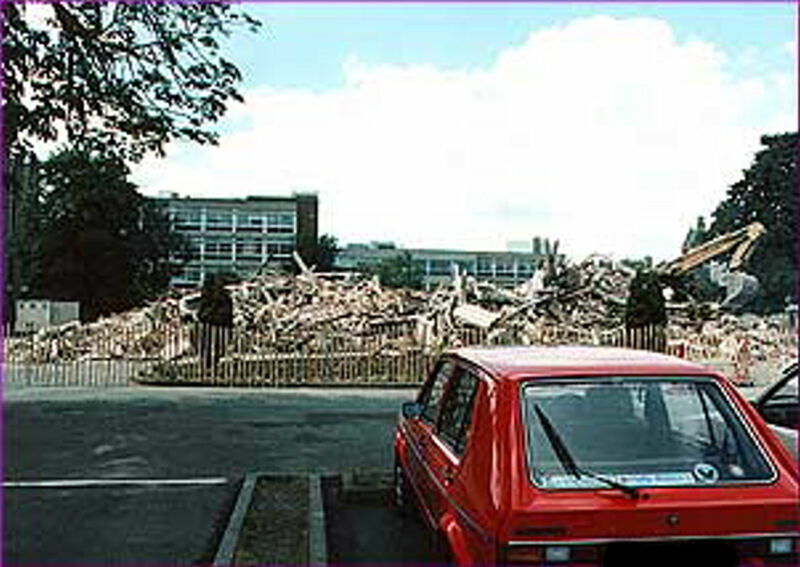 The White Cliffs Experience proved to be a financial disaster but the memory of the demolition of Brook House lives on. This entry was posted in Brook House – the Infamous Demolition, Brook House – the Infamous Demolition, Brook House – the Infamous Demolition, Brook House – the Infamous Demolition, Buildings, Maison Dieu Road, Wanton Destruction. Bookmark the permalink. I always wondered why Brook House was demolished in the early hours of a Saturday morning – now I know. Thanks Lorraine and for all your other stories – keep them up.